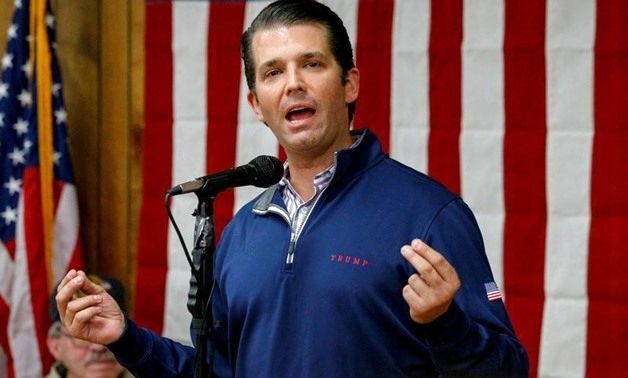 EghtesadOnline: Donald Trump Jr., the U.S. president’s eldest son, met in August 2016 with an envoy representing the crown princes of United Arab Emirates and Saudi Arabia. The meeting was first reported by the New York Times on Saturday and confirmed by an attorney representing Trump Jr, Reuters reported. A company connected to Zamel also worked on a proposal for a “covert multimillion-dollar online manipulation campaign” to help Trump, utilizing thousands of fake social media accounts, the New York Times report said. The envoy, Lebanese-American businessman George Nader, told Trump, Jr. that the crown princes of Saudi Arabia and the UAE were eager to help his father win the 2016 presidential election, the paper said. Erik Prince, who is also the brother of U.S. Education Secretary Betsy DeVos, could not be immediately reached for comment.